Statistics provided by the Arizona Department of Transportation show that there were a total of 50 fire truck accidents throughout Arizona in 2011, which caused six injuries and caused 44 cases of property damage. Furthermore, every year throughout the country 2,500 fire truck accidents are caused by ignorant and negligent drivers whom fail to yield to these emergency vehicles. What these individuals may not realize is that these fire trucks may be over twenty times the weight of the average passenger vehicle, thus many accidents result in extreme damage and injuries. At Phillips Law Group, our truck accident attorneys believe that if an individual is injured in a fire truck accident due to the negligent actions of another driver, the victim may be entitled to compensation for their losses and damages including; medical expenses, funeral expenses, pain and suffering, loss of wages, and property damages. 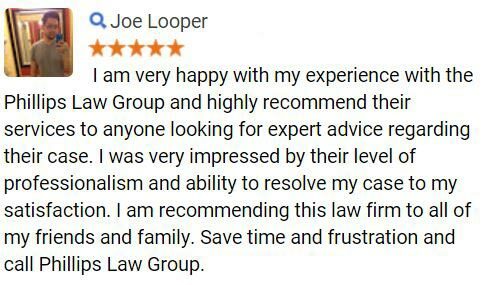 To learn more, simply fill out the Free Case Review form on this page Its 100% free. In many instances, fire truck accidents are caused by individuals failing yield to these massive vehicles, which is one of the leading cause of these types of accidents. Of course, there are other caused of fire truck accidents, which do not include other vehicles, rather the equipment has not been properly set up due to fire fighters being in an emergency. Fire trucks are required to abide by a certain set of rules that were created specifically for these large vehicles. On occasion, these rules may be broken due to the time constraints of getting to an emergency on time, thus resulting in accidents. When a fire fighter is called to an emergency, they are required to set up their equipment in the fastest time possible, thus, creating dangerous situations for everyone in the surrounding area, including themselves. In general, most drivers recognize that a fire truck has the right away when its lights and horns have been activated. However, when this is ignored by an ignorant or negligent driver, it may result in an accident. Speeding often occurs when a fire fighter is rushing to the scene of an emergency. These fire trucks have a reduced ability to maneuver in a quick manner as they have constraints due to their enormous size and complexities. These features will often cause accidents. Resulting from these types of accidents, they are known to be the second leading cause of death to fire fighters. Unfortunately, a fire fighters passion for saving lives and assisting those in need may turn into an unavoidable and disastrous situation for all. Thus, it is imperative to lookout for fire trucks each time we are driving on our Arizona roadways. Many reports show that a fully equipped fire truck can weight anywhere from 28,000 to 50,000 pounds, compared to the average passenger vehicle which weights around 3,000 pounds. Thus, when these vehicles collide, they often cause an immense amount of damage, injuries, and on occasion, death. If you have involved in a fire truck accident which resulted in injuries, it is imperative to seek medical attention as soon as possible following the accident. This will not only ensure your healthy recovery, but also prevent any further injuries from occurring down the road. Additionally, all medical documents obtained can be used by our truck accident lawyers to formulate a solid case to present in the court of law. 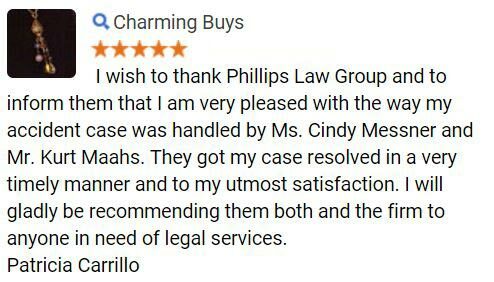 At The Phillips Law Group, our attorneys will fight relentlessly on your behalf to achieve the maximum compensation benefits that you deserve for your injuries. 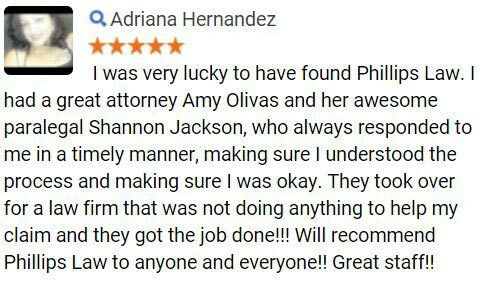 We have obtained MILLIONS in successful verdicts and settlements for our clients over the years and will put this knowledge and passion to work for you. Being located in Phoenix, our law firm is able to serve clients throughout the entire state of Arizona and beyond. 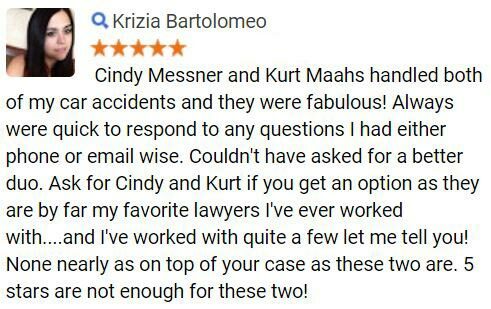 If you are interested in setting a free no-obligation consultation with one of our attorneys, or simply would like to learn more about our law firm, we welcome you to contact us at (602) 258-8888 today. At this time a member of our intake staff will collect information about your injuries and quickly connect you with a caring personal injury attorney ready to take your specific case.